After the smashing albums of Shakta & Prana, Suntrip strikes again with a compilation filled with Acid-Trance & morning Goa! 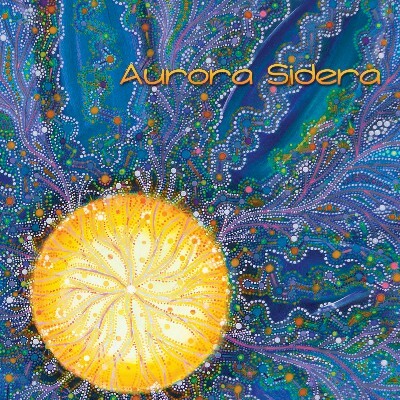 On our new VA, called “Aurora Sidera”, we present something different. More psychedelic, acidic and crazy as usual, but of course, with a blissful melodic ending! We open the compilation with a pure groovy TB303 stormer by Skizologic. Skizologic is very active and respected on the Israeli scene, and close to the Zion604 label. We're very happy , he can show his wondrous skills here. He' followed by another acidic tune, both fast and floating, by Nebula Meltdown who keeps having super ideas. After that we get 2 Suntrip-newcomers (Dragon Twins & Morphic Resonance) who have already released excellent EPs on Ektoplazm and who present us here smashing psychedelic "Flying Rhino"-like 90s acid-trance! The second part of the compilation is more melodic. He's followed by 2 amazing spiraling morning trance tracks by Mindsphere and Celestial Intelligence. Now we're in the morning part of the compilation with two of the most devastating tracks we'v'e heard this year. These did make people burst in tears on the dancefloor! Listen to the break in the Mindpshere track, listen to the final surprise in the Celestial Intelligence track...you'll understant what we mean!!! The final track is a collaboration by French classic acts Denshi-Danshi and The Amtinaous, who are back for a first release since the 90s! This track is pure trance, melodic, acidic & beautiful.